Chiropractors Dr. Dave Oommen and Dr. Phil Oommen want to help you unlock your potential and experience greater well-being. You deserve to experience the happiness and freedom of living an Elevated Life. Call today for an appointment! 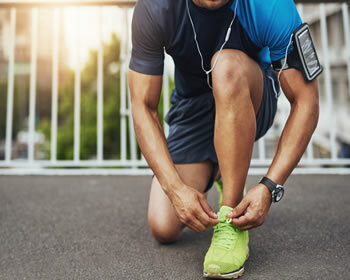 Whether you want to put pain in the past or get on the path to optimal health and wellness we look forward to meeting you at Elevated Health Center. 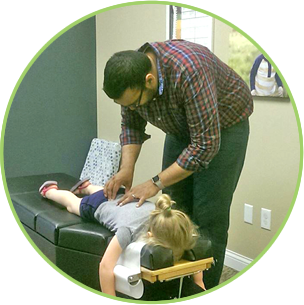 Blaine Chiropractor Dr. Dave Oommen and his brother Dr. Phil Oommen are passionate about helping their patients experience transformed lives through natural, noninvasive chiropractic care. At Elevated Health Center, Dr. Dave Oommen and his brother Dr. Phil Oommen are passionate about offering patients hope and healing without resorting to medications. The primary goal of the practice is to help patients take their lives from one level to the next to experience peak wellness with chiropractic care. From babies and young children to moms, dads, grandparents and athletes, every age and stage can benefit from drug-free chiropractic care. Our care is comprehensive and personalized — never cookie-cutter. You're never considered a number here. Whether we're helping adults with back or neck pain or caring for children with ear infections or acid reflux, patients of all ages can discover relief and healing through chiropractic care. When a child has interference or a subluxation, a variety of common ailment can arise. By eliminating the cause of the interference, children can experience better health, naturally. Chiropractic care can not only help athletes prevent injuries, but also help them perform better. From concussions to tennis elbow, a range of sports conditions can be successfully managed with chiropractic. Maybe you've been to other health care offices where the environment is a bit too clinical. At our practice, we are always professional but casual and laid-back, so you will feel comfortable, relaxed and ready to begin your healing journey. We also enjoy building strong relationships with clients, even attending some of their children's sports games. Our connections with patients are cherished. If you'd like to take your health to the next level, we invite you to contact us today to book an appointment with our Chiropractors Blaine. We accept insurance. Awesome Drs & staff!! Very knowledgeable & helpful in sharing information/treatments reguarding your treatment and care along the way. My care has been fantastic and my body is benefiting! Thank you! Absolutely LOVE Elevated Health Center! Both Dr. Dave and Dr. Phil are amazing! All of the staff are so friendly, outgoing and very accommodating. They explain everything so well and really make you feel comfortable! Thank you! !